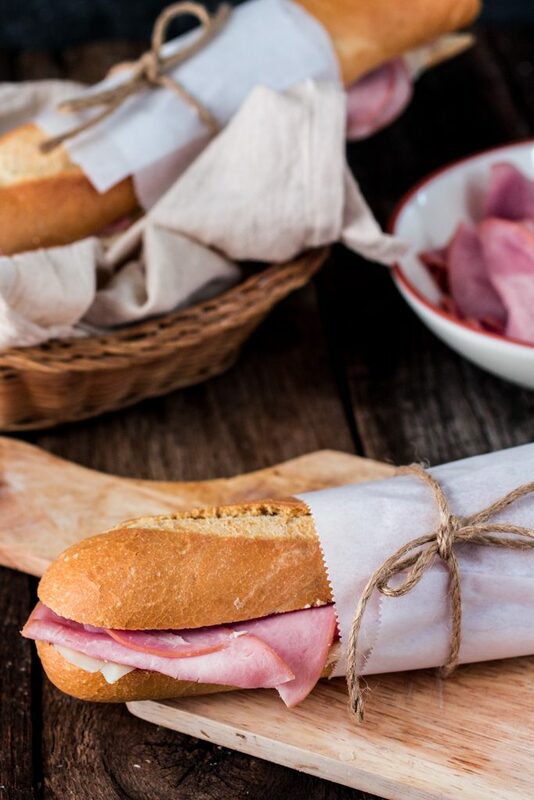 This French Ham Sandwich is the easiest sandwich you will ever make! As in, I’m even a little embarrassed to call it a “recipe”. ? But then again, every time I take a bite of one of these amazing sandwiches, my heart tells me: it’s so delicious that it gotta make it to the blog. So here it is! I was also really tempted to add a smudge of Dijon mustard, but gave up, thinking it was best to keep it as close as possible to the real deal. If you’re a rebel, add the mustard. Or mayo. Or whatever you like, really! It is your sandwich after all! As I’m sure you have noticed, I’m kinda having a “easy and simple” phase. I mean, can you blame me? It’s 10 degrees outside. Also, we are apparently getting another blizzard (called Olympia) tomorrow. Seriously, who can get out of bed and do something productive when the winter gods are sending their fury upon us? I blame my grandmother. When I was little she would tell me to skip school if it was raining. So it was only natural that I would grow up to be an adult that associates bad weather with being inside all day, under the covers, watching Netflix. 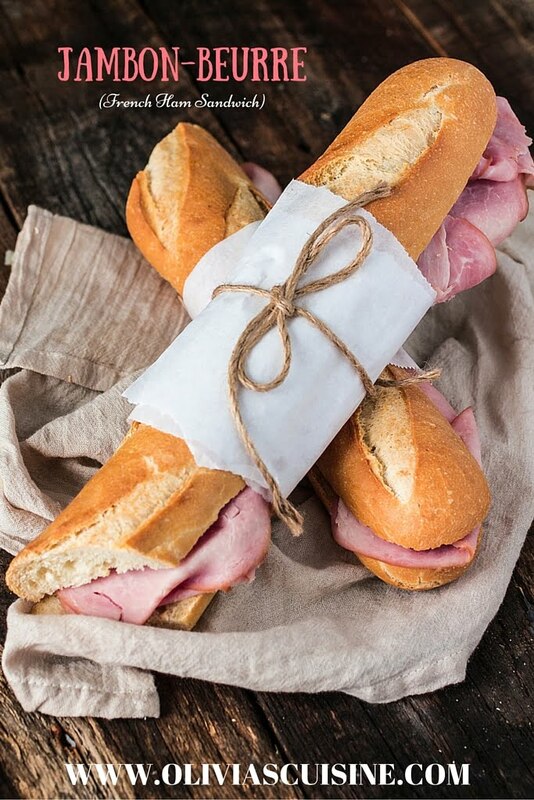 And eating French ham sandwiches that take less than 5 minutes to make! Since this is a recipe blog, I’ve included a recipe at the end of this post. Feel free to read it more as a formula than a recipe and adjust according to taste. One thing I’ll say, though. This sandwich is really simple to make and completely relies on the quality of the ingredients. So make sure you buy a good baguette, excellent ham and a good brand of butter. I sometimes bake my own baguette, but I understand that might defeat the purpose of an easy sandwich. As for the ham, I use Oscar Mayer Selects Natural Applewood Smoked Ham because not only it tastes delicious but it has no artificial ingredients and is minimally processed. Too good to be true? Not with Oscar Mayer Selects Natural. These peeps make the kind of stuff that you can trust and feed to your family. They also make amazing slow roasted turkey, applewood smoker turkey, rotisserie seasoned chicken and slow roasted roast beef. Sandwich making becomes even easier when you have such good ingredients available! 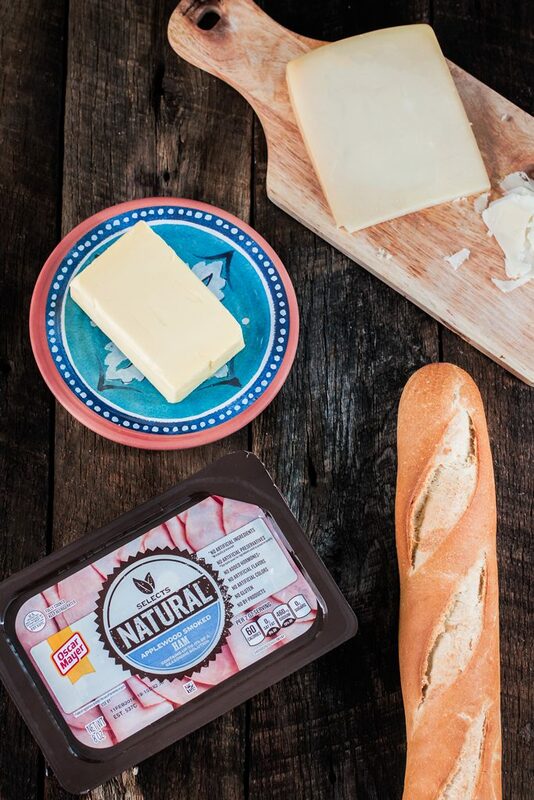 To learn more about Selects Natural and all the Oscar Mayer products, visit their website, Facebook page, Twitter and/or Tumblr account! 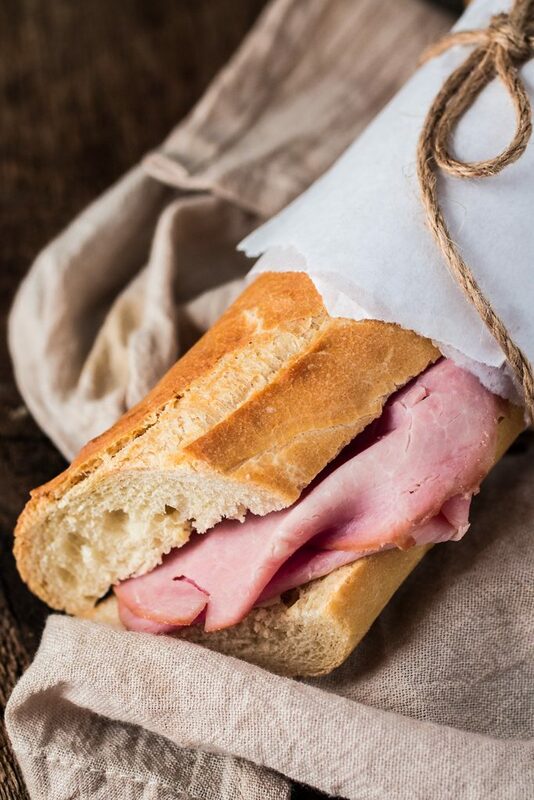 In short, this French Ham Sandwich is simplicity at its best. The sweet and creamy butter complements the salty ham perfectly. Add a crunchy baguette and I’m literally in heaven! ?? Spread the butter on cut sides of the baguette. Add the cheese (if using) to the bottom slice and top with the ham. Top with the other slice of baguette. Cut the sandwich into two equal parts. Serve or refrigerate (wrapped in plastic) for up to one day! Hello Lovely Olivia! :) A sandwich is always an ok option for a cold day. Good chance that NYC will warm up and get rain. Keep writing, all nice to read. Best to You and Yours, Joe B.
I love a ham sandwich on a French baguette! Adding gruyere is absolutely a fantastic idea! PInned! This is my favorite sandwich . It tastes like childhood! Lovely as in scrumptious. I’d have to schmear it with dijon or some homemade whole grain though. :) Pinned.